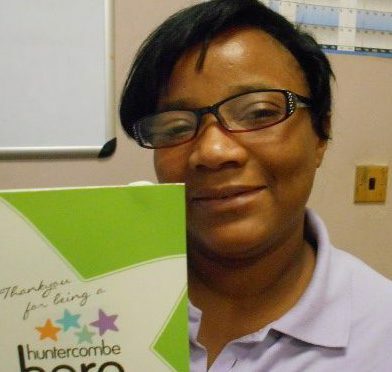 Judith has been recognised as one of Blackheath’s Huntercombe Heroes. She joined BBIRC back in 2010, her main role is to actively involve herself in all patient related activities. She is recognised for commitment to her role and for giving up part of her weekend to take patients on excursions. This is significant as Judith has a young family, yet is still prepared to go over and above for our patients. A recent excursion which was really popular was a visit with patients to the British Museum.